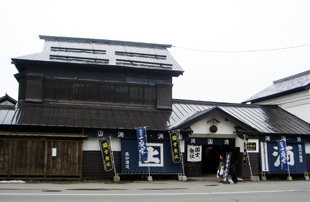 Takasago is housed in one of the most traditional style buildings in the city, built in 1909. Takasago offers the complete sake experience allowing visitors to shop, taste, and experience the sake tradition of old Japan. Antique posters, artifacts and bottles give you an insight into the evolution of sake culture, while the gift shop and tasting room will allow you to sample the best on offer, and perhaps purchase a couple of bottles to take home with you. Across from the main building you'll find the Takasago brewing facility, not a traditional building by any stretch, but for the record, the oldest concrete building in Hokkaido. Here, between November and March, you can take a guided tour of the entire sake making process as it happens, an interesting behind scenes look at the fusion of modern technology and ancient brewing techniques. In winter, Takasago make ice-drip sake in an igloo situated outside the main building. Visitors are free to walk in see how it's all done. As well as internationally renowned sake, the Takasago sake store can fit you out with a selection of cool T shirts, sake pouring sets, cups,and many other small sake related products. As a final note, simply must try the Takasago pre-fermentation “sweet sake”. Bottled prior to fermentation, therefore non-alcohol, and using only the sweetness of the rice for its core flavor, this drink is served chilled and will definitely surprise you. Takasago is the closest brewery to the centre of the city, and is accessible on foot from most of the inner city hotels, especially in Spring, Summer, and Autumn. 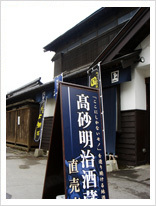 It is certainly worth a visit if you want to learn about sake and the Japanese sake tradition. Tour: Yes, 9:00~5:30, but a reservation is necessary. No wheelchair access on the tour. 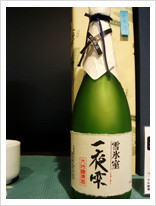 General sake information in English. Short walk from the JR Asahikawa Station, very short taxi ride.